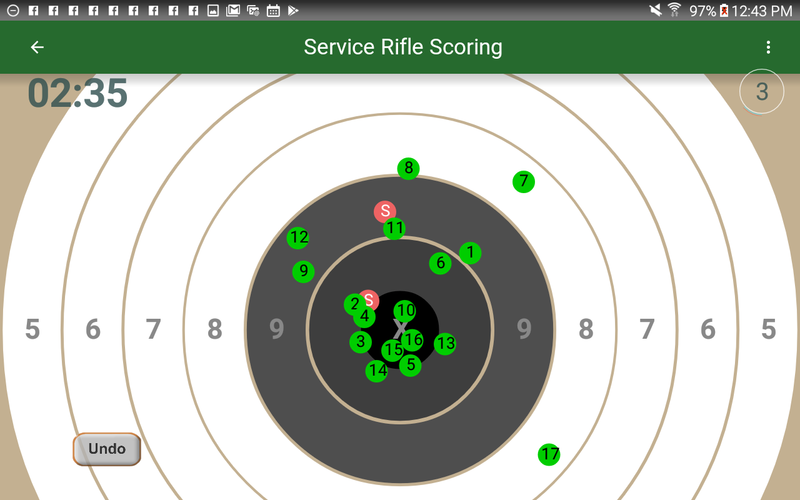 “Service Rifle Scoring” is a mobile Android app for tracking target shooting scores and analyzing performance. The Application is a mobile app for tracking target shooting scores and analyzing shooting performance. The Application tracks and analyzes shots, rifle type, accuracy, timing, conditions and history to determine how performance changes. The app records position and timing for each shot, and also tracks: load data, caliber, bullet weight, powder charge, custom notes, location, sun, moon, wind and weather. 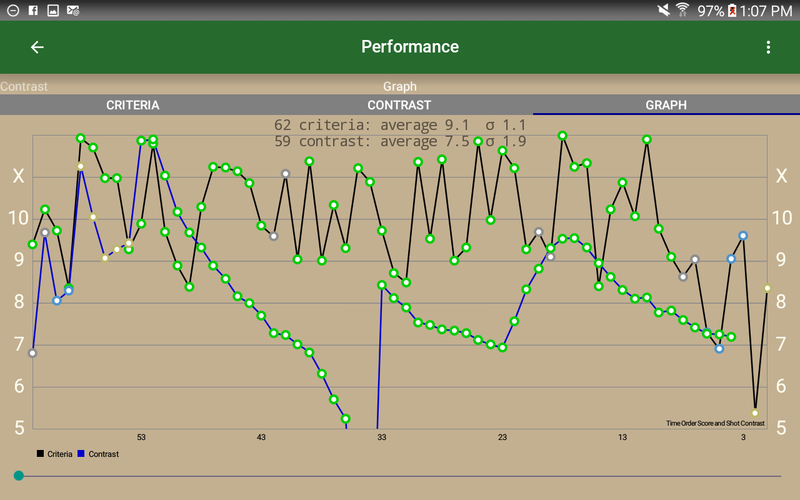 Data can be browsed, analyzed and compared using over 100 criteria and contrast options. Complex analysis is possible. Smartvariables.com collects Personal Information from the Application. The types of Personal Information collected can vary depending on use of Application features. We collect user provided Personal Information (information that can be used to identify you as an individual) including user name, email, photo URL, location, and payment and subscription data. The Application obtains the information you provide when you login to register the Application. Login registration is mandatory to use basic features of the Application. We collect Application Usage Information. We collect information you enter into our system when running the Application. 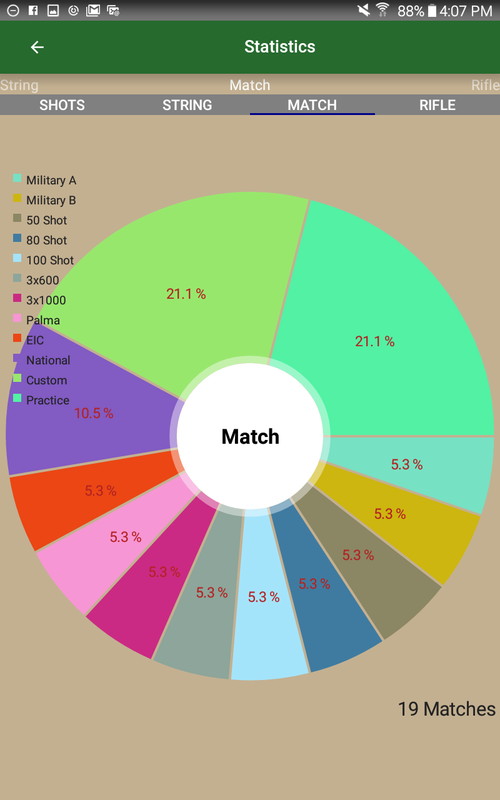 All activities performed within the app are recorded, for example, we capture match details including shots and shot timing and other match information and any subsequent access to that data. The Application can “log” detailed usage activity to Firebase (the cloud) in real time. A local SQLite database records match data and purchases and the personally identifiable information you enter. That SQLite database is mirrored to Firebase (and also automatically backed up and restored by Google). We collect GPS location information related to a match. The Application will attempt to determine your location city. We collect information you provide to Smartvariables.com when you contact us for help. We collect payment information for access to premium Application features and/or custom reporting services and/or subscription-based licensed use of the Application. We collect all transaction related information, such as when you make purchases, or respond to any offers or surveys or notifications. All Collected Information helps us understand how the Application is being used. It helps us identify and resolve problems and keep the Application fresh, interesting and useful. All Collected Information may be used for analytics, operations, advertising and marketing. We may also use the information you provided us to contact you from time to time and provide you with important information, required notices and marketing promotions. We may use collected location information to provide you with shooting ranges or competitions in your area and to customize the advertisements, surveys, offers and notifications that we serve to you. We may post customer reviews and video testimonials on the Application which may contain personally identifiable information. If we want to post a customer’s name along with their testimonial, we obtain the customer’s consent via email before posting the testimonial. Whenever you interact with the Application, Smartvariables.com, and any third-party advertisers and/or service providers, may use a variety of technologies that automatically or passively collect information about how the Application is accessed and used (“Usage Information”). Usage Information includes your Unique Device Identifier (as defined below), device type, operating system, application version, current time, location, browser type and pages served, and all use of Application features, for example sharing a match, or interacting with friends, or participating in contests. Smartvariables.com collects the unique Android Advertising ID (AAID) that is assigned to your device. Our computers can identify your device by using that identifier. We may use the Device Identifier to analyze problems and trends or to provide attribution metrics to our advertisers and partners or for system administration. Additionally, Smartvariables.com may use the Device Identifier to help identify you during a support request, and to retrieve your shopping cart contents, and to gather demographic information for aggregate use. When you use the Application, it may use GPS technology (or other similar technology) to determine your current location in order to identify the city you are located in. This Personal Information is collected by Smartvariables.com. Smartvariables.com may share your current location with other Application users or our partners. If you do not want us to use your location for the purposes set forth above, you should turn off the location services for the mobile application located in your account settings or in your mobile phone settings and/or within the Application’s Settings selections. (c) with our trusted services providers who work on our behalf, do not have an independent use of the information we disclose to them, and have agreed to adhere to the rules set forth in this privacy statement. If Smartvariables.com is involved in a merger, acquisition, or sale of all or a portion of its assets, you will be notified via email and/or a prominent notice on our Web site, and/or via Application notification of any change in ownership or uses of this information, as well as any choices you may have regarding this information. Smartvariables.com may share any Collected Information including, Device Identifiers and geographic data and Application Usage Information with third parties in the ways that are described in this privacy statement. Smartvariables.com may share your Collected Information with third parties that perform functions for us (or for one of our partners) such as the Google/Firebase service that hosts and operates our Platform, helps analyze data, and process our subscriptions, transactions and payments; additionally we may share with sponsors, customer service representatives and third parties that participate in or administer our contests, promotions, and surveys or assist with marketing and brand partners, including but not limited to shooting ranges local to you. If you login using Facebook, the Application may post to your Facebook wall. The Application will always ask for your permission before posting to your Facebook account. We will retain User Provided data for as long as you use the Application and indefinitely thereafter. We will retain Collected Information and Usage Information online, and may at any time transfer and store it in aggregate, in whole or part. We do not use the Application to knowingly solicit data from or market to children under the age of 13. If a parent or guardian becomes aware that his or her child has provided us with information without their consent, he or she should contact us at privacy@harlie.com. We will delete such information from our files within a reasonable time. Smartvariables.com is concerned about safeguarding the confidentiality of your information. We provide electronic, and procedural safeguards to protect information we process and maintain. For example, we limit access to this information to authorized employees and contractors who need to know that information in order to operate, develop or improve our Application. Cloud storage obtained from Google/Firebase is used to store all Collected Information. Application authentication services are provided by Google/Firebase. The Firebase database uses security rules to lock down unauthorized data access. Please be aware that, although we endeavor to provide reasonable security for information we process and maintain, no security system can prevent all potential security breaches. allows the app to view information about WiFi networking, such as whether WiFi is enabled and name of connected WiFi devices. Allows applications to change WiFi connectivity state. allows the app to get your approximate location. This location is derived by location services using network location sources such as cell towers and WiFi. These location services must be turned on and available to your device for the app to use them. Apps may use this to determine approximately where you are. allows the app to get your precise location using the Global Positioning System (GPS) or network location sources such as cell towers and WiFi. These location services must be turned on and available to your device for the app to use them. Apps may use this to determine where you are. allows the app to prevent the phone from going to sleep. allows the app to write to the SD card. allows the app to read the contents of your SD card. allows the app to get the list of accounts known by the phone. allows the app to read personal profile information stored on your device, such as your name and contact information. allows the app to read data about your contacts stored on your phone. collecting, storing, deleting, using, combining and disclosing information, and using cookies on a computer and/or mobile device. These activities will take place in the United States. If you reside outside the United States your information will be transferred, processed and stored under United States privacy standards.